High-grade high-calorie product of carbohydrate and protein designed for athletes to aid in weight gain. 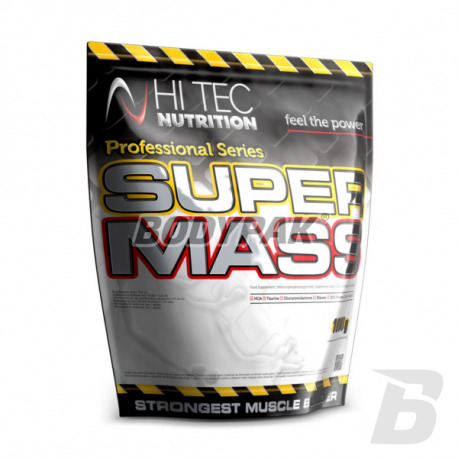 Hi Tec Super Mass is a high-calorie product of carbohydrate and protein designed for athletes to aid in weight gain. The product is a perfect combination of carbohydrates, protein, peptide, anti-catabolic and ergogenic components and vitamins conditioning very fast and lasting weight gain. Used in the preparation of macromolecular glucose polymer with extremely low osmotic properties allows for extremely quick replenishment of muscle glycogen reserves during and after training and long-term and steady release of insulin into the bloodstream. Super Mass professional athlete diet enriched in the most valuable protein mixture (whey protein, soy protein), which has excellent absorbability, has the highest known biological value, the optimal amino acid composition of exogenous and endogenous particularly high content of sulfur amino acids (cysteine, methionine), branched chain amino acids, glutamine and arginine. The result statement whey protein with soy protein is the maximum utilization of stored fat as a source of energy and a rapid increase in lean muscle mass. Super Mass Professional is a rich source of the most powerful anti-catabolic and anabolic: branched chain amino acids BCAA, taurine, protect the liver against damage, caused by intense weight training. 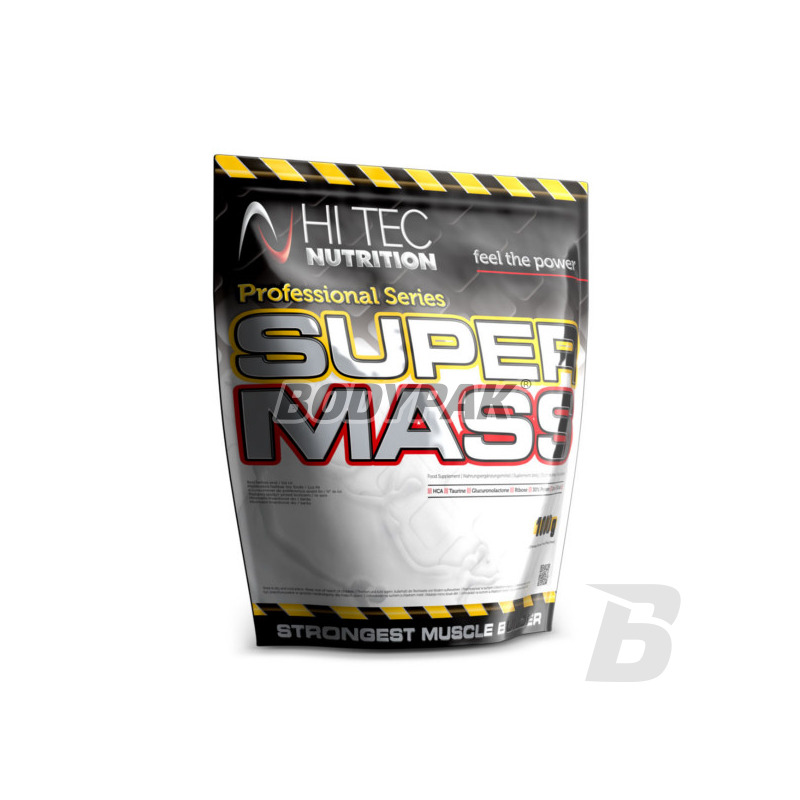 Super Mass Professional includes powerful ergogenic substances that aggravate the body's adaptation to increased physical and accelerate post-workout regeneration. Ribose is involved in the synthesis of nucleic acids necessary for the synthesis of muscle protein and in the regeneration of ATP pools. Used in Super Mass glucuronolactone, a precursor of the synthesis of ribose, multiplying the effect of ribose and reduces fatigue caused during physical exertion A unique component of the Super Mass Professional is hydroxycitric acid (HCA), which protects the body from storing fat reserves during use wysokowęglowodanowych preparations and allows more efficient burning of fatty acids . The surplus of stored carbohydrates in muscles and liver and is not converted into fat reserves. Use - four times in the morning, two hours before training, about half an hour after training, one hour before bedtime. Use three times a day immediately after a meal or as a tasty individual meal (especially with regard to the morning and evening servings). Ingredients: wyskocząsteczkowy polymer of glucose, dextrose monohydrate, whey protein concentrate, whey protein isolate, soy extract of Garcinia cambogia (source HCA), taurine, glukorolakton, ribose extract, molasses (source of branched chain amino acids) acidity regulator citric acid, vitamin C (l-ascorbic acid), witaminaB3 (niacinamide), vitamin E (DL-alpha-ethyl tokofenylu), vitamin B5 (D calcium pantetonian), vitamin B1 (thiamine mono nitrate) vitamin B2 (riboflavin), vitamin B6 (pyridoxine hydrochloride), vitamin H9 (D-biotin), vitamin B9 (folic acid - folic acid), vitamin B12 (cyjanokobalina), cocoa - chocolate for flavor, coloring: cochineal red E124 * (for strawberry flavor), flavor. * Can have a detrimental effect on activity and attention in children. Tłuszczem podlewa zła dieta.. sam gainer jest ok.. chociaż smak i rozpuszczalność to nie wszystko.